We will provide hamburgers, hotdogs and the fixes to go with that. Bring a covered side dish and your own pop or tea. 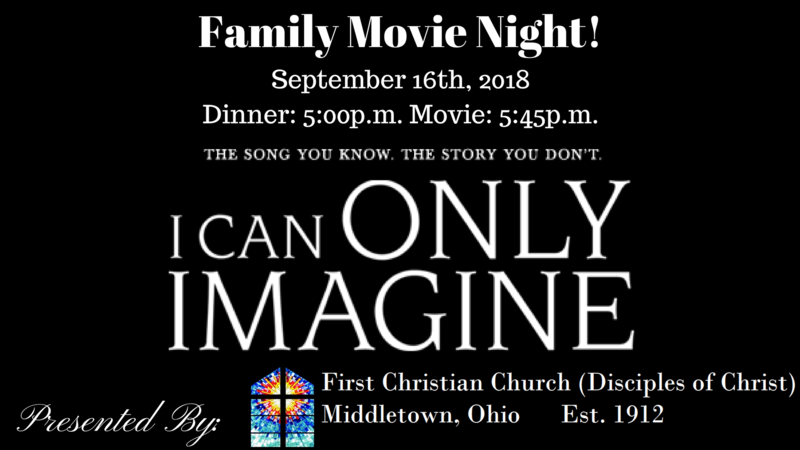 The movie we will be showing is I Can Only Imagine. to write the hit song “I Can Only Imagine” as singer of the Christian band MercyMe.